I came up with the concept of this water when my husband and I were up in Maine 2 summers ago, and our hotel greeted us with water flavored with watermelon (absolutely delicious, and perfect on a hot summer day). Since then I experimented with various fruit combinations in my water but loved this combo the best. Lemon and Cucumber flavor the water ever so slightly, adding a fresh and exciting flavor to an otherwise banal drink. 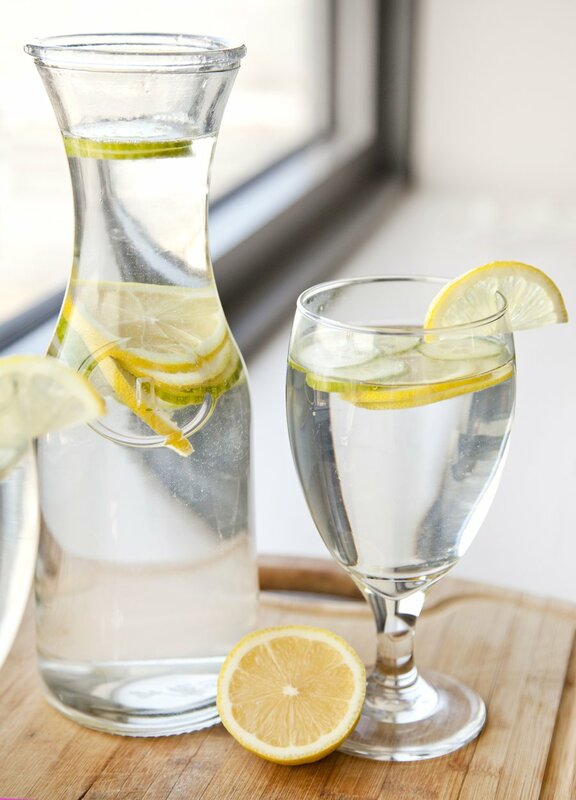 As a chef, working in hot kitchens, or under the stress of dinner service, you are constantly chugging water…but sometimes you want a little something more than just plain water, and this is the perfect solution to that problem! 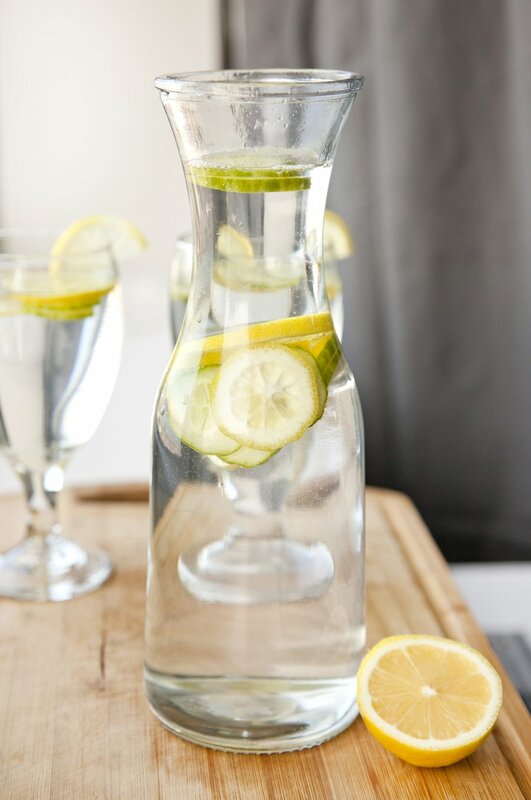 This is great for a party – make a huge vat of it and serve it in a large pitcher or in a fun glass beverage dispenser, and allow your guests to treat themselves to a nice glass of infused water! Besides the wonderful flavoring that the lemon and cucumber adds, there are also the added health benefits of both ingredients. Lemon is fantastic for digestion, fighting obesity, skin/hair care, and more. While cucumber helps fight inflammation and manage stress, it also works as a breath freshener! Try this recipe out for your next party, or make a pitcher of it like I did, and keep it in the fridge for your own consumption, replenishing the water as it runs out. 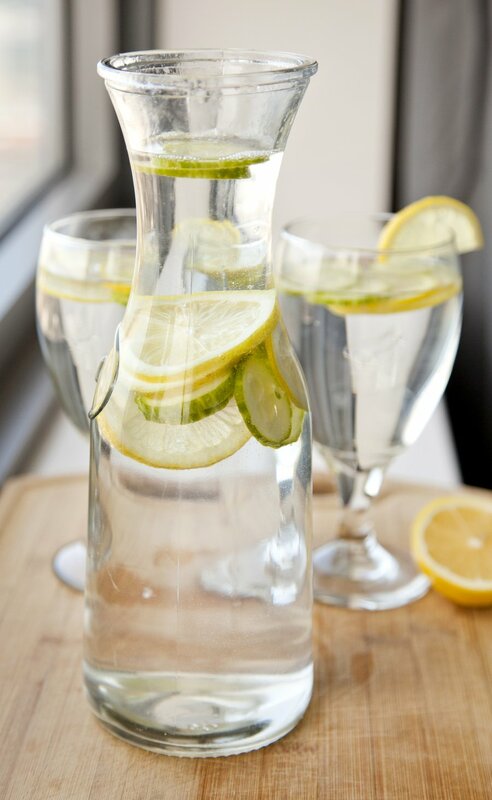 Replace the lemon and cucumber slices in the water every 2 days to ensure freshness. Refreshing and bright change up to the same old boring water! 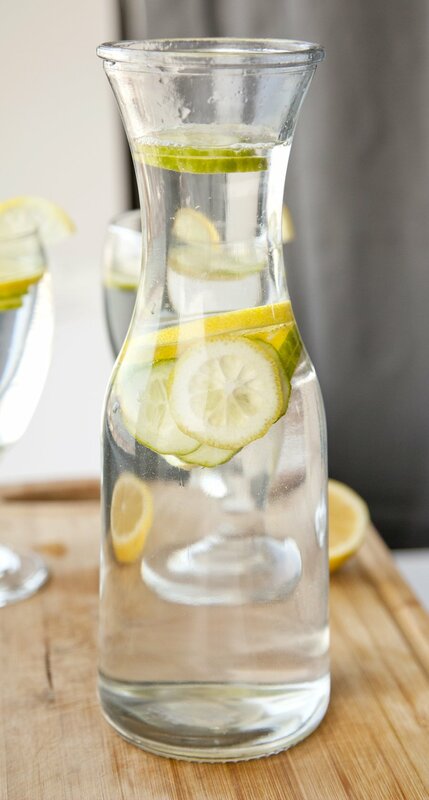 Fill up a carafe or pitcher with 1 liter of water and enough ice to cool it, add sliced lemons and cucumber - serve cold over ice. 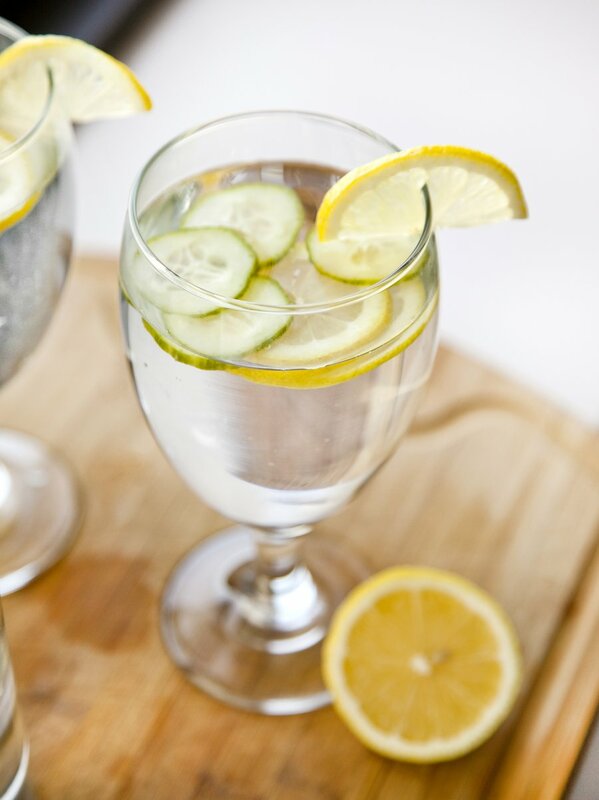 Garnish glasses of water with extra cucumber and lemon.